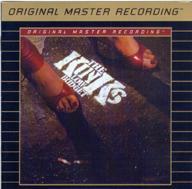 If you were going to pick one album from the Kinks Katalog for an SACD remastering it wouldn’t be Low Budget and that’s all there is to it. Not that it’s a bad Kinks album. It’s just not one of their best, though it was certainly one of the group’s most popular. 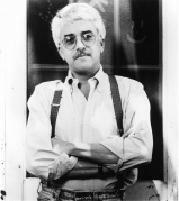 Leave it to the public to ignore Arthur, The Village Green Preservation Society and Lola Versus Powerman and the Money Goround not to mention Face to Face and Something Else while driving Low Budget to gold sales status. The monophonic master tape of this 1958 Prestige session recorded at Rudy Van Gelder’s Hackensack home studio has probably had more tape head contact over the past few years than it had for the first 30 plus years of its life. Along with this 2 LP set and SACD, there’s a 180g Acoustic Sounds LP still in print, there was a 1998 JVC XRCD reissue, a 1993 DCC Compact Classics gold CD, a standard CD, a 20 bit mastered edition, a Japanese 20 bit “LP sleeve” edition and probably a few others as well. 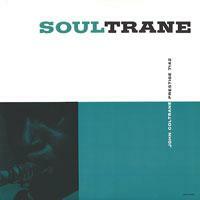 Do a search on Amazon.com and you’ll find a confusing jumble of Soultrane editions priced from $6.49 to $49.00 (the out of print DCC Compact Classics gold CD), none of which are identified in adequate detail. As you’d expect, www.acousticsounds does a better job of identifying this recording’s many iterations. A cold-steel stoic intensity inhabits the faces of Canadian folksingers Ian Tyson and Sylvia Fricker on the cover of their 1965 Vanguard album Northern Journey. The photo’s low light and blue cast amplify the title’s message. Combine the front cover with the scholarly ethno-musicalogical liner notes you’ll find on the back—perhaps a reflexive reaction to the commercialization of folk music back then and an attempt to separate Ian and Sylvia from many trite, packaged folk acts of the time—and you have an almost forbiddingly chilly surface. Set the "Wayback Machine" to 1958! You won’t be buying these two LPs for their sonics. Primitive television show soundtracks from a Compton, California based local program recorded before an appreciative live audience, provide listeners with a “way back machine” glimpse of another time, and seemingly another universe—especially when you consider the music for which Compton’s currently best known. The good news is that playing before an audience, Alison Krauss and her crack back-up band Union Station can replicate the Bluegrass/pop fireworks—instrumentally and vocally—that they set off in the studio. That’s the bad news too, as whatever interplay there was between the group and the audience has been excised, and the arrangements and performances shed little new light on the mostly familiar tunes. That’s just fine by the fans, judging by the raucous, appreciative audience reaction at this concert, recorded at the Louisville Palace, in Louisville Kentucky, April 29th and 30th, 2002 while the group toured in support of New Favorite (Rounder 11661-0485 hybrid multi-channel SACD/Diverse Vinyl DIV001LP 180g LP). The fans at home obviously approved as well, as the album quickly went Platinum. 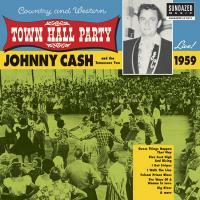 One track, the familiar “Down to the River to Pray,” was recorded live on the “Austin City Limits” television program. 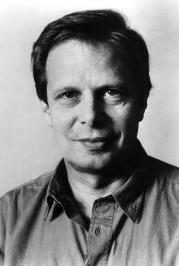 Since the mid-sixties, producer Joe Boyd's name has been synonymous with the British folk/rock scene. Through his Witchseason productions, Boyd produced the classic albums of The Incredible String Band, Fairport Convention, Richard and Linda Thompson, Nick Drake, Martin Carthy, and Sandy Denny among others. During that fertile musical period, the Witchseason logo on an album was an ironclad guaranty of good music- and fine sound. In a career spanning almost 30 years and 18 albums, Joan Armatrading has established herself as one of the most durable and respected artists in popular music. Her honesty and integrity as both a musician and world citizen are rare in a field that regularly breeds shooting stars. Born in the West Indies on the island of St. Kitts in 1950, and moving to England when she was 7, Armatrading absorbed both the lilting, sunny rhythms of the Caribbean and the grittiness of post-industrial Birmingham. Her tough, yet vulnerable musical stance has influenced two generations of performers, attracted to her unique, difficult to categorize brand of music. MG: So, you came out here and lived with your older brother, Carson? VDP: Yeah, we lived in Seal Beach. MG: So I guess at that time you kind of set the clarinet aside and learned 'Raquinto' style guitar... Did the two of you play coffee houses? VDP: Well, we played all of the hip places to play. We played all the way from San Diego to Santa Barbara. We went up and down the coast and played all these places. 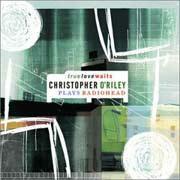 The concert pianist Christopher O’Riley says Radiohead has been “the music in my head,” since he discovered OK Computer back in 1997. Because Radiohead’s music isn’t formally published, O’Riley took it upon himself to create transcriptions so he could play heavily embellished versions of the group’s themes for himself and then as station-break filler for From the Top the public radio show he hosts that spotlights young musicians. He later performed a longer set of Radiohead tunes on NPR’s Performance Todayand the band’s fan base responded positively, which set in motion the process that resulted in this album.